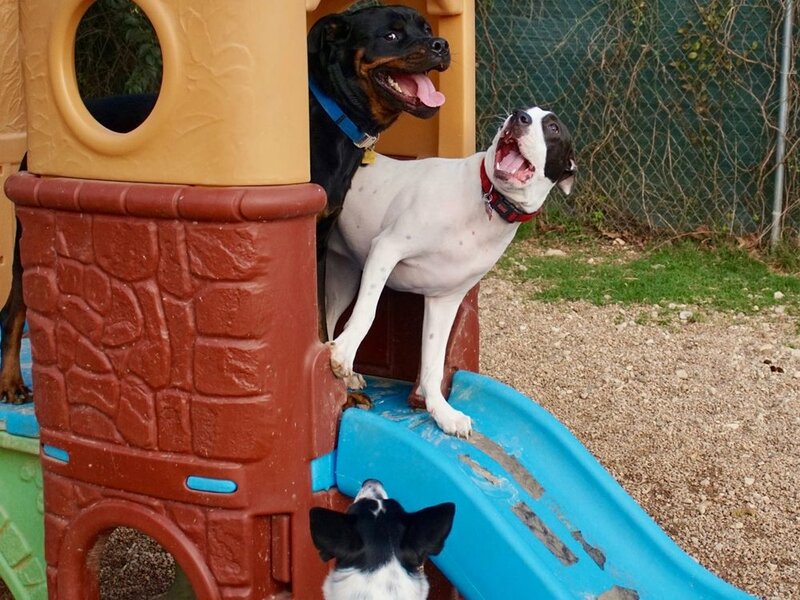 During a typical day of Daycare your dog is rotated between playgroups and indoor rest periods from the time you drop off to the time you pick them up. See the column to the right for drop off/pick up hours. Play groups are carefully chosen according to size, behavior temperament, and play style. Dog coaches supervise the playgroups at all times. Coaches are thoroughly trained to interpret dog body language and actively guide the dogs towards play that is healthy and safe for all. In between playgroups, dogs rest indoors in comfortable crates. 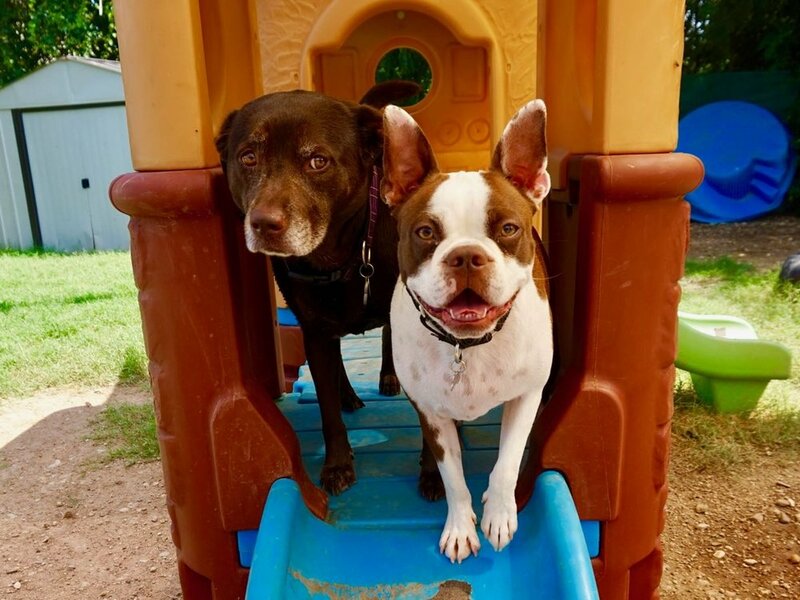 Our experience is that "all day play" is not good practice, and behavior experts agree that giving dogs regular rest periods is an extremely important part of daycare.Though some barking is inevitable in a dog kennel, we work very hard to maintain a quiet, low-key indoor environment so that dogs can rest peacefully. The ratio of playgroup time to rest time depends on many factors related to the dog's behavior - we try to "listen" to what the dog is telling us. We understand that each dog is a unique individual. What is fun for one dog might not be fun for another. 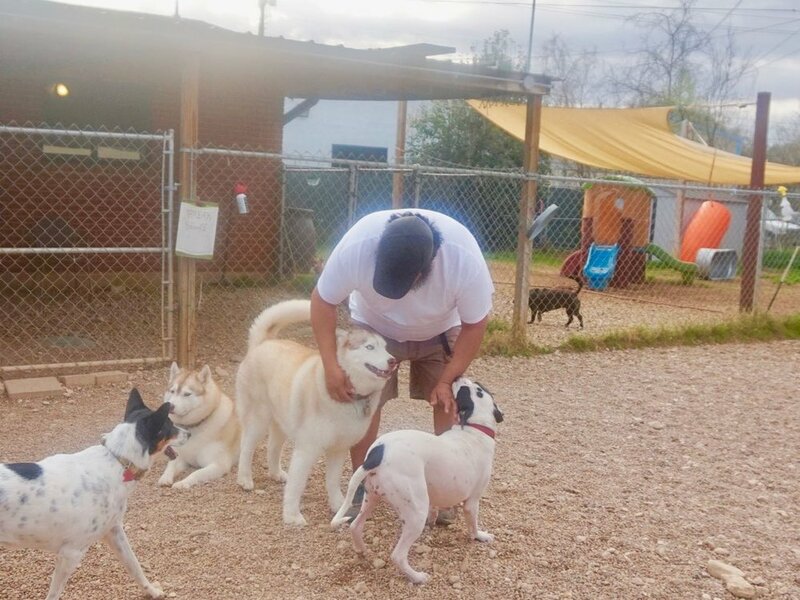 Each dog is given a personalized socialization protocol to ensure that they are matched appropriately, and we keep an ongoing behavior record and conduct regular reviews of each dog so that we can meet their specific needs. We are also very aware that dogs are constantly learning. And we want your dogs to learn good things while they are with us! Therefore we are always actively reinforcing good behavior, while gently intervening to prevent less desirable behavior. If you would like to join our Daycare family, please complete our Daycare Evaluation request form.